See Fort Collins By Bicycle! Bicycling is a great way to get to know Fort Collins. With relatively flat terrain, 280+ miles of wide bike lanes, and 30+ miles of multi-use trails, bicycling is a fun, healthy, and environmentally-friendly way to see all that Fort Collins has to offer. Check out the bike map to help you with the orientation of Fort Collins. Fort Collins Bike Share is a great opportunity for visitors, students, and residents looking to explore the City of Fort Collins. We offer a variety of self guided tours from the "Bike the Sites" collection, including a Brewery Tour, Environmental Learning Tour, and the Historic Tour. Fort Collins and the surrounding vicinity offers hundreds of miles of incredible road biking. From flat prairie and country roads, to several steep canyons west of the City, Fort Collins offers world class road riding. See map! If it's mountain biking you are after, we have miles upon miles of great mountain biking minutes from downtown. Visit the City of Fort Collins Natural Areas for information on riding the foothills trails or check out the trails and pump track at Lory State Park, or Horsetooth Mountain Park for prime mountain biking action. Also, the City's Spring Canyon Park offers a challenging mountain bike skills course and you can find a fast BMX course at Edora Park. FC Bikes is the City of Fort Collins bicycling program. Through infrastructure planning, educational programs, encouragement events, and work with other City departments and local organizations, FC Bikes aims to improve conditions for bicyclists and increase the number of trips made by bicycle in our community. 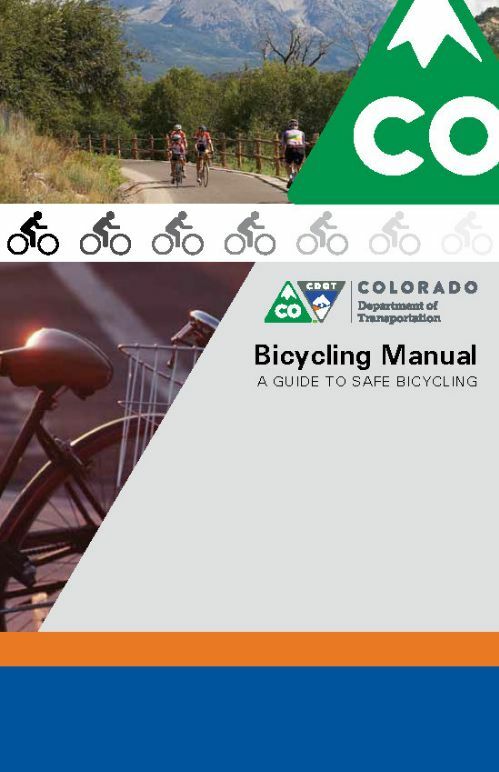 The 2014 Bicycle Master Plan outlines a vision for bicycling in Fort Collins. Low-stress bikeways and wayfinding are becoming a staple in bicycling infrastructure. Bike to Work Days (fourth Wednesday in June and second Wednesday in December) and Open Streets events are popular to Fort Collins bicycling culture, coordinated by FC Bikes. Our adult education programs can help anyone learn to ride, navigate the city legally and safely by bike, and more. The Bicycle Friendly Driver Program is gaining national attention by teaching motorists to safely drive in the presence of bicyclists. Contact us to learn more about our program. The Fort Collins Cycling Club has more than 300 members, representing road cyclists ranging from beginners to group riding to advanced recreational riders. They ride year-around! Please visit their website for information about scheduled and ad hoc riding opportunities on a weekly basis. They are also engaged in community service, advocacy, and social events relating to cycling. Individual and family memberships are available. Please see their website at http://www.fccycleclub.org (you can also find them on Facebook). The Fort Collins Velodrome Association has been working endlessly to bring a velodrome to downtown Fort Collins. A velodrome is an indoor or outdoor banked oval track used for bike racing for cyclists of all ages and abilities. Apart from providing extracurricular bicycling activities, a downtown velodrome could attract large competition events to Fort Collins as well, provide exciting spectator opportunities for Fort Collins residents. Also known as Babes on Bikes, team B.O.B. has been promoting women mountain bikers since 1992. The group offers group rides for novice and experiences riders as well as skill seminars. The team also does trail maintenance and cycling related community events. Once daylight saving begins the team meets every Tuesday at 5:30pm at Soderberg parking area in Horestooth Mountain Park. To learn more about team B.O.B visit www.coteambob.com.